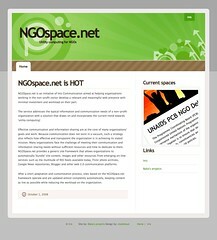 A simple frontend for the NGOspace.net domain. The design was culled from styleshout. The website was taken offline in late 2009.